Talia’s Toy Box Company has received complaints from parents about how messy toy boxes can get and how hard it is for their children to find their toys without dumping out all of the toys. 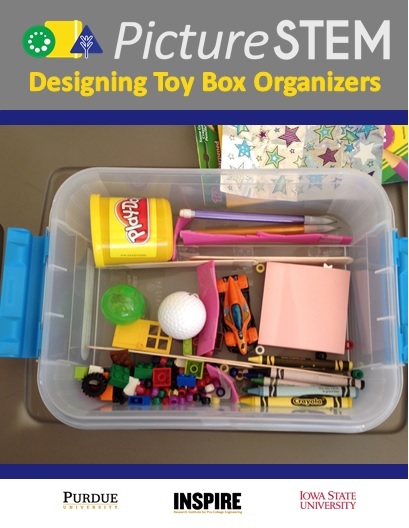 In this unit, students investigate standard units of measure and sort objects according to their physical properties before applying them to design a toy box organizer. Follow and develop algorithms for thinking about sequencing of events and accomplishing tasks. Hi, I am trying to purchase the materials to start this unit, and I am wondering if you can tell me the exact size of the “toy boxes” that I need to purchase. https://www.walmart.com/ip/Snapware-1119141-12-x-3-inch-Storage-Container-With-Cerise-Handle-Pack-Of-6/47500082 (you can get them elsewhere too – I know JoAnn’s sells them). They are fairly expensive, but the lids and size are perfect for this curricula. They are also really sturdy so can handle the beating that young students might put on them. These are sold out everywhere! Do you have another recommendation? I assume you are talking about the boxes we use for toy boxes. We have found them at JoAnns and Sears sometimes. But here is what we like about them. They are clear with lid that has a handle. They are about the size of letter-sized paper which allows students to lay them over a 1” grid paper and the grid fits almost perfectly. If you find something with these criteria, that should work fine. I have also had teachers say they just used cardboard boxes. This is a much less expensive option but lacks the ability to see though the bottom to lay the box on the grid paper. It is better if the students cannot lay directly on the grid paper, but it would work to put grid paper in the bottom of a cardboard box with a lid. Will any robot mouse suffice? The Robot Mouse we recommend is particularly useful for the activities we have set up. If another robot mouse will allow for the same type of computational thinking to be integrated, then it would likely work. Copyright © 2019 PictureSTEM. Powered by WordPress. Theme: Spacious by ThemeGrill.